Where do we begin? The last seven days have flown past as quick as today's eclipse - though thankfully our memory of the past week hasn't been clouded over. With so much having gone on of late, we thought we'd have a quick recap and share some of our highlights just in case you've missed out! If you've been following us on Twitter you may have seen us go on about this a little bit in the weeks leading up to the Red Rose Awards 2015. Finally the day arrived and the Fun Experts were dressed in their best and ready to impress. It was a fantastic experience and though we may not have won on the night, it was a great pleasure to be recognised alongside some exceptional businesses in the Tourism and Leisure Business of the Year award. To see more fun from the night, click on the image! Friday saw Red Nose Day hit our screens again. Despite being televised for just one night, so many people have been involved in raising fantastic amounts of money months in advance. 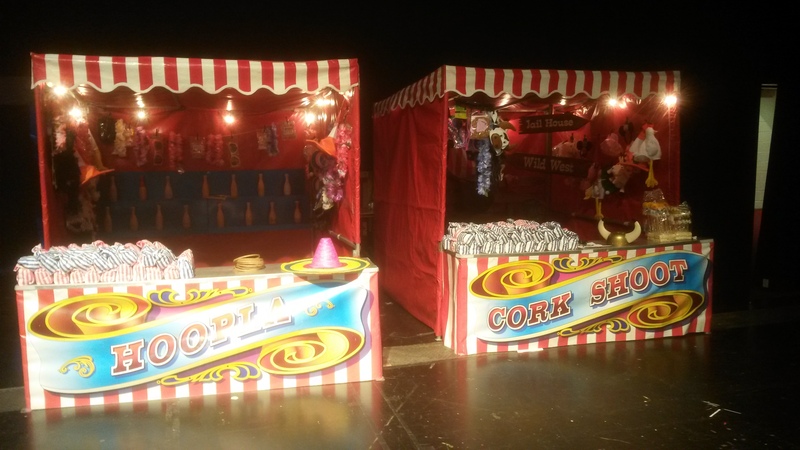 Fun Expert Crispin was in for a little surprise last Friday when he attended what he thought was a 'normal' event. 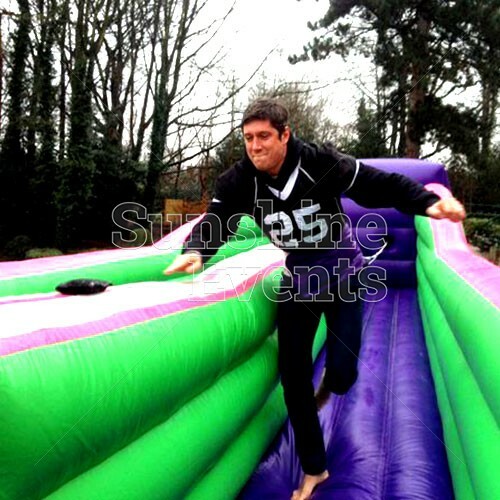 With his Bungee Run in tow, Crispin was faced with the one and only Vernon Kay and American Football teams the Warriors and the Spartans (with the former having recently 'whooped' the latter!). The weather did try to dampen everyones spirit but the clouds soon parted and Vernon took to the challenge of the Bungee Run in aid of Red Nose Day. Although we're busy spreading the fun across the nation, the Sunshine Events team are often very busy in their day to day lives. Larissa recently saw the opening of her first exhibition, part of a project she is involved with while studying Photography at the University of Central Lancashire. With a natural eye for a great shot (you can see some of her work from our very own events! ), we're very proud of what Larissa has achieved away from the office. A surprising phone call came through to Camille this week, which led to a fantastic experience for Fun Expert Mark. You can read the full story here about how Mark took a journey to London to meet Channel 5 with our very own Game Show. The contestants and host? Just a few familiar faces from Ramsay Street! "Today's event went brilliantly! 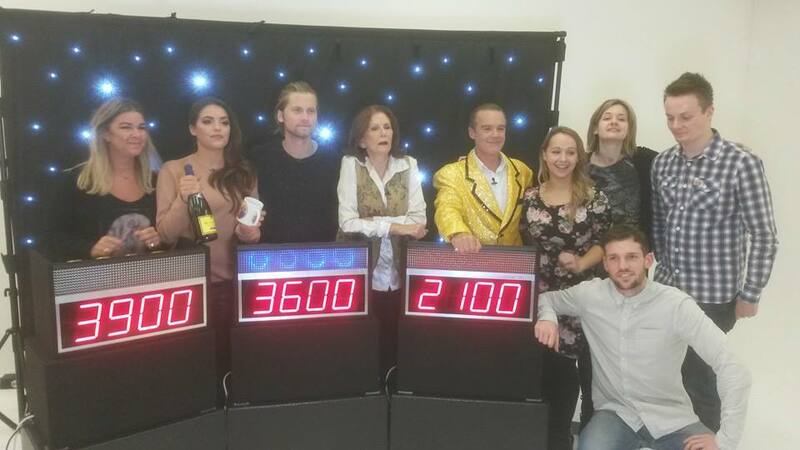 The Neighbours cast had an amazing time doing the quiz (and Stefan Dennis loved the gold jacket!!!). Thank you so much - Mark was fantastic. He was really great to work with and he ensured the cast had a brilliant time. He was very helpful and he made sure the game show went very smoothly!" Earlier this week saw Sunshine Events load the vans with our entire selection of Side Stalls for the annual event that is Costival. With classic attractions including Coconut Shy, Tin Can Alley and Hook A Duck, a team of Fun Experts travelled to Warwickshire and met just a few thousand Costa folk celebrating an amazing event. "Wow, what an event! Everyone was just in fantastic spirits - or was that just the coffee! It was amazing to be part of this huge event!" This week saw the highly addictive and ridiculously fun Roll A Ball bringing our number of products to hire up to 338; though we can quickly see this becoming Number 1! A great piece of fun for all ages and event types, the Roll A Ball really is perfect for adding another element of fun to your event! We simply can't get enough of it as you can see from us having a go when we brought it to the Red Rose Awards. Phew! What a week indeed and that was just the tip of the iceberg! With Spring almost in full bloom and Summer on it's way, you can be sure there will be much more fun to come. If you want to be a part of some fantastic highlights then have a chat with one of our team - Let's lay the path to your own amazing event!